Beyond The Stoop - Life in Jersey City: Pulled Pork... AGAIN!! Remember the last time I posted about making pulled pork? We made this and this and ate it for a week. Well, surprise surprise! We have even more from that same batch. We froze what we knew we wouldn't eat, and we pulled it out for dinners for this week! 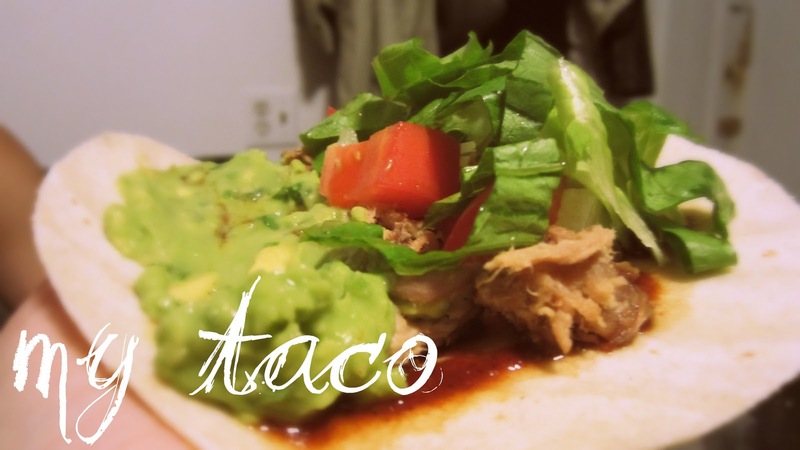 We had amazing tacos, with homemade bbq sauce, homemade guac, taco sauce, tomatoes, lettuce, Mr P's super hot unnaturally-green habanero sauce (soooo spicy!! 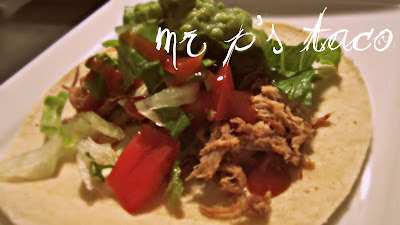 ...you know what I'm talking about), white corn tortillas, and yes... pulled pork! We didn't even have to use the stove... we used all fresh veggies, and just heated up the pulled pork and white corn tortillas in the microwave.